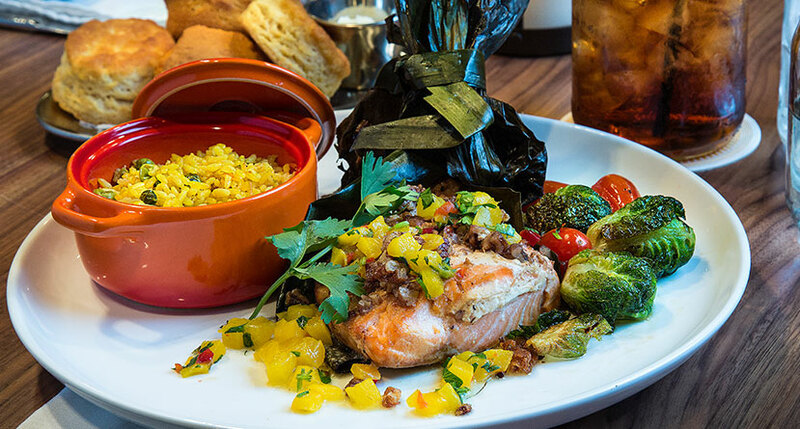 The Whitehall is home to three warm, welcoming Houston eateries, each offering an authentic take on local cuisine while providing guests with a rich culinary experience. From the handcrafted libations at Part & Parcel to Tex Mex fare with a Southern edge at Edgar’s Hermano, and local Pearland Coffee Roasters and fresh grab n’ go fare at Buffalo Bayou, our casual Houston restaurants delight guests and locals alike. Chef Sylvia Couvarrubias’ stellar Mexi-South fusion flavors take center stage at Edgar’s Hermano, our nod to true-to-Texas authenticity. Handcrafted cocktails and savory small plates make Part & Parcel a new favorite hotspot in downtown Houston. Houston’s authentically local coffee experience. Buffalo Bayou pairs the city's own Pearland Coffee Roasters with light bites for breakfast and lunch.